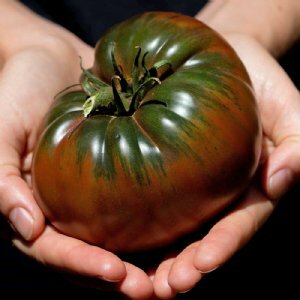 Heirloom tomatoes produce the juiciest, most flavorful fruits you'll grow. 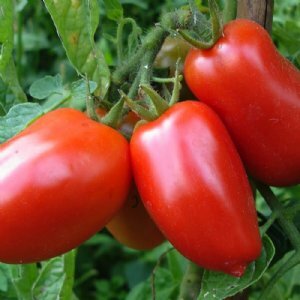 Ideal tomato for sauces and canning. Takes heat in stride and will make you look like a canning pro. 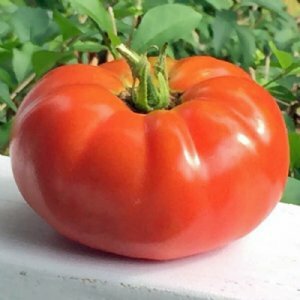 Beefsteak with a unique color and flavor! 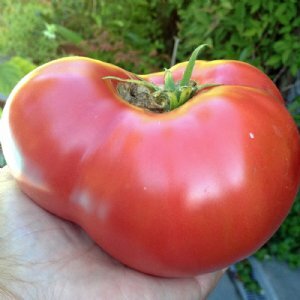 Nothing fancy, just extremely juicy, flavorful tomatoes. This slicer is hard to beat! 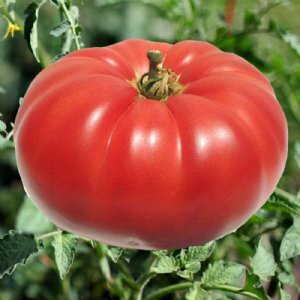 Has the largest following among gardeners and tomato connoisseurs. It wins ALL the taste tests! Its consistently one of our customer favorites! 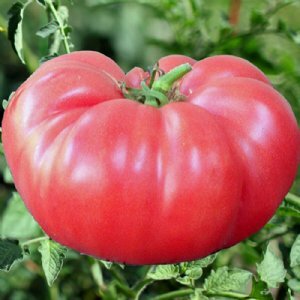 Beefsteak type that offers relatively low acids. 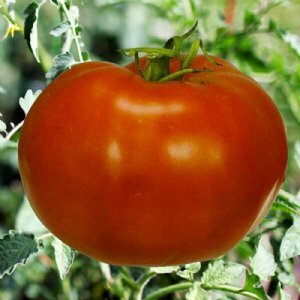 If you’re a fan of extremely sweet, smoky flavored tomatoes, this one is for you. 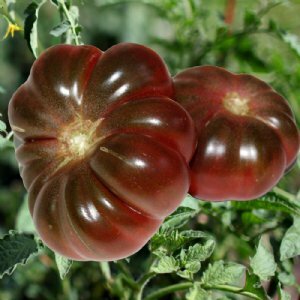 Heart-shaped fruits that offer a deliciously sweet tomato flavor. 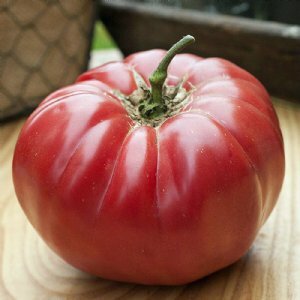 One of the tastiest saucing types! 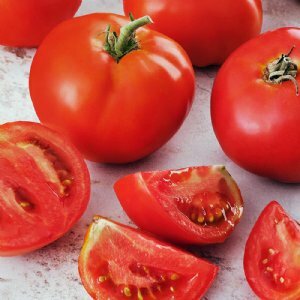 Skip the produce aisle this year! 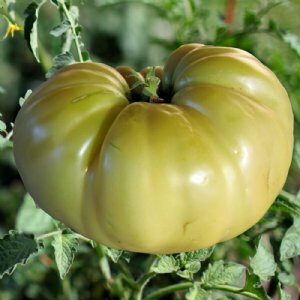 This heirloom offers full-bodied flavor and grows well in hot, humid climates. 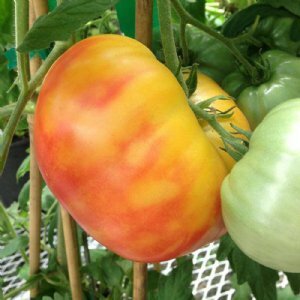 Unique tomato with a velvety peach look and a light fruity flavor. Perfect on salads! 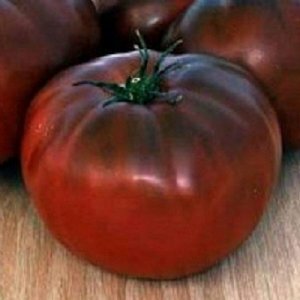 Enormous, sweet, mild flavored tomatoes that cover a slice of bread perfectly. Some weigh 5 pounds! 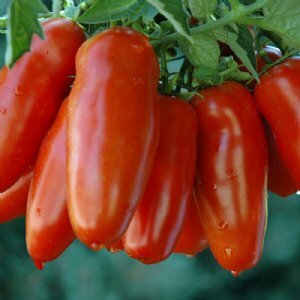 Considered to be the best variety of white tomato because of its mild, sweet and exceptionally juicy flavor! 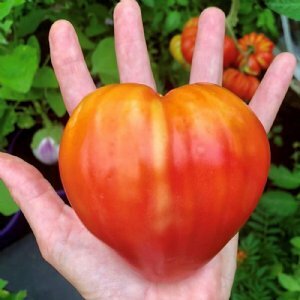 Heart-shaped tomatoes with such a sweet, juicy taste they’ll become one of your favorites. 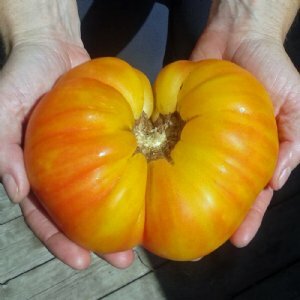 Long judged the "best tasting" heirloom tomato. 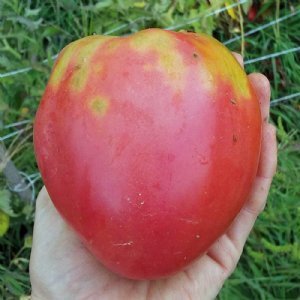 Yields 1-2 pound pinky-red, beefsteak-style fruit. 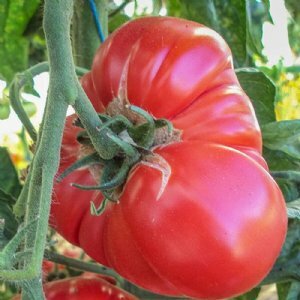 Offers incredibly large, pink tomatoes with a delicious, rich, sweet taste you won't soon forget. 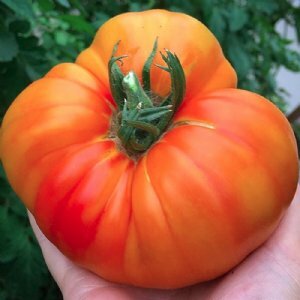 Beautiful heirloom tomatoes that are low in acid and high in sugar content, which in the tomato world is a perfect combination! 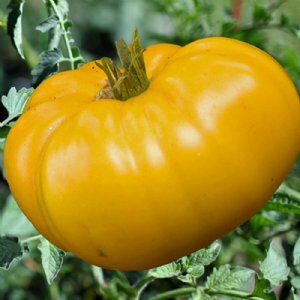 Outstanding flavor and color with fruits often weighing over a pound. 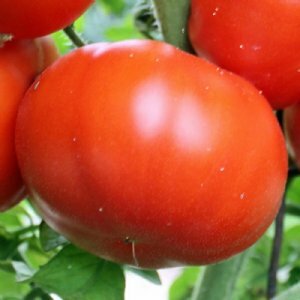 Considered one of the best paste tomatoes available today, they are meaty, deliciously sweet and have very few seeds. 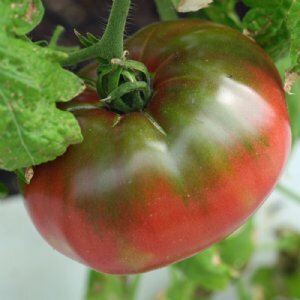 Grown by Thomas Jefferson all the way back in the late 1700's, this one offers a sweet fruity flavor like no other! The combination of sweet and fruit give this one a magnificent flavor! 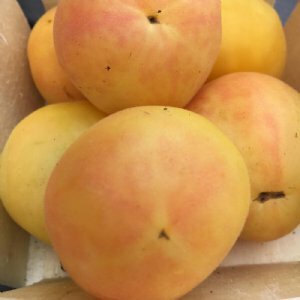 These uniquely shaped fruits with an interesting wine-like flavor will liven up any dish they meet! 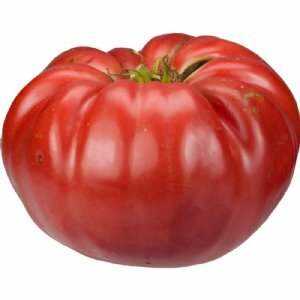 Known for its full-bodied flavor, it's one of our top canning tomatoes. 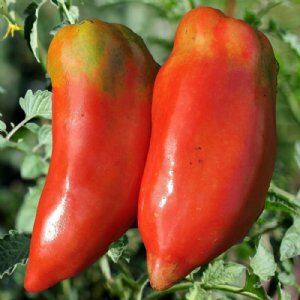 Considered by many to be the best sauce tomato in the world, this one has a flavor that's sweeter and less acidic than the Roma. 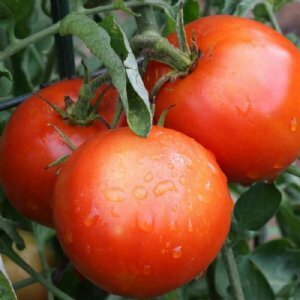 Sets fruit with temps as low as 38 degrees! 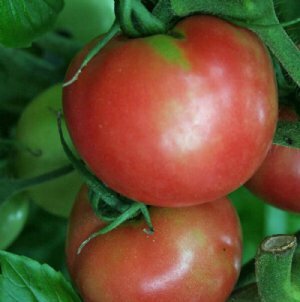 If you need a cold weather tomato plant, this is the one. 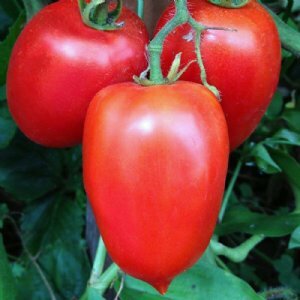 Sweet flavor with very little juice and few seeds, perfect for sauces and salsa! 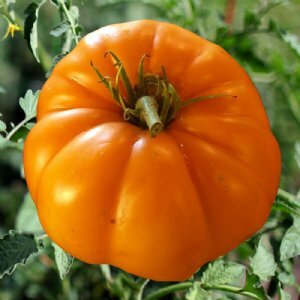 With its mild, sweet flavor, it has had a resurgence in popularity, and with good reason! 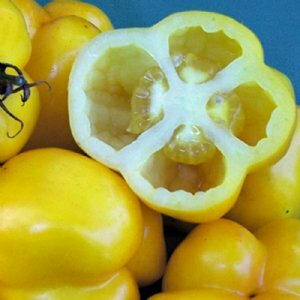 A bell-pepper shaped tomato that's perfect for stuffing.